In Hear This, A.V. Club writers sing the praises of songs they know well. This week, like the sheep we are, we’re picking songs by the first bands we loved because a significant other loved them. For whatever reason, my awareness of Bauhaus was nonexistent when I was in high school. I’d already discovered acts that were only a couple degrees removed from the band’s gothy fare—such as The Cure and Nick Cave’s pre-Bad Seeds band The Birthday Party—but something about Bauhaus evaded me. That is until I started dating my first serious girlfriend. Though I was far from a dyed-in-the-wool goth kid, she most certainly was. Granted, my interests weren’t any less melodramatic. An early exposure to Crass meant I’d developed quite the affection for crust punk, so while she was fixated with music that projected doom and gloom, I was just as entranced by Doom and Gloom. Couple this with my ongoing love affair with ’90s emo and the mopey post-punk of Bauhaus was only a step away from me at any given time. But it’s a step that’d I’d only be encouraged to take after hearing my then-girlfriend play “She’s In Parties” from 1983’s Burning From The Inside. The relationship lasted far longer than it should have and ended in a tumultuous manner befitting of our self-serious teenage convictions. 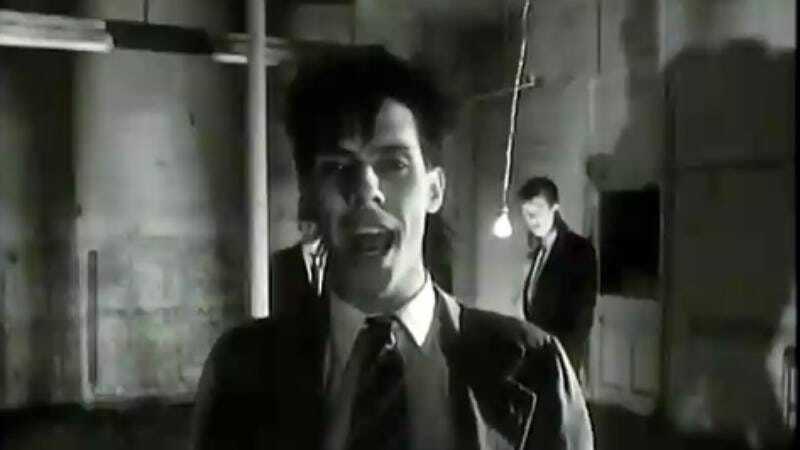 For the most part, Bauhaus remained unaffected, though “She’s In Parties” always had a way of catapulting me right back into the thick of my convoluted high school emotions. Those lingering connotations stung for a while, but as time passed so did Bauhaus’ link to that failed relationship. Now “She’s In Parties” feels wholly disconnected from that time and place, more a reminder of how I left that whole graveyard scene behind and not just that one specific person.